Remember this post here. Well, here is the follow up to that! I said that I would post about Art blogs that I found since starting Good Artbox! Art for Kids Hub - This blog taught me how to draw this. This blog is great for children as well as adults. Why? Because Rob, the blog author takes you step by step through "how to" draw something. This was one of my first art blog discoveries when I started this blog! The Postman's Knock - This is a daily read for me (except Sabbath)! I found this blog by googling "how to paint watercolor flowers"! Lindsay is an awesome blogger! She teaches lots of stuff about sending letters and writing calligraphy! The things on this post, I learned from reading her blog! Deep Space Sparkle - Patty, the blog author is an art teacher and has an amazing way to share projects from her art classes. Limitless info here! This is a great site for homeschoolers as well! ...loaded with art ideas! These are my top go-to Art Blogs! I don't necessarily agree with everything on these blogs but I like them overall. 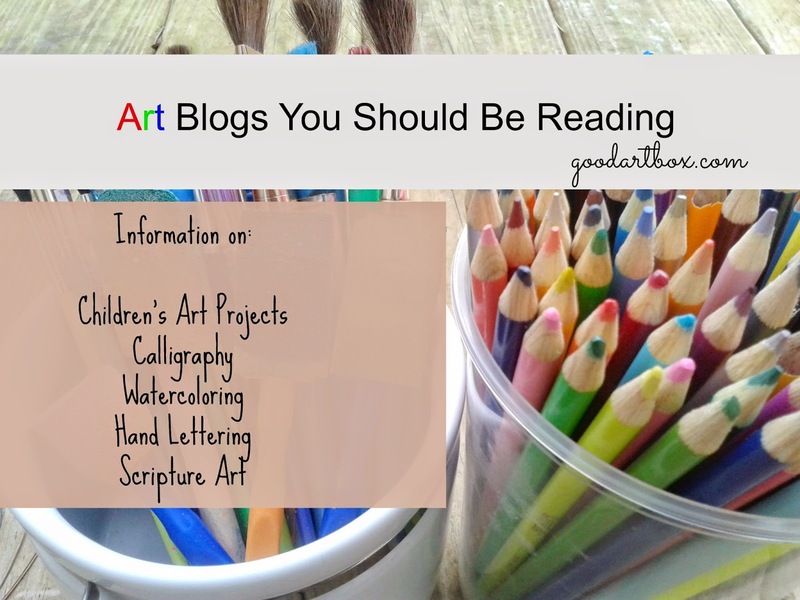 Below are other artsy/crafty blogs that I have found and like on some level since starting Good Artbox. You may like them as well.